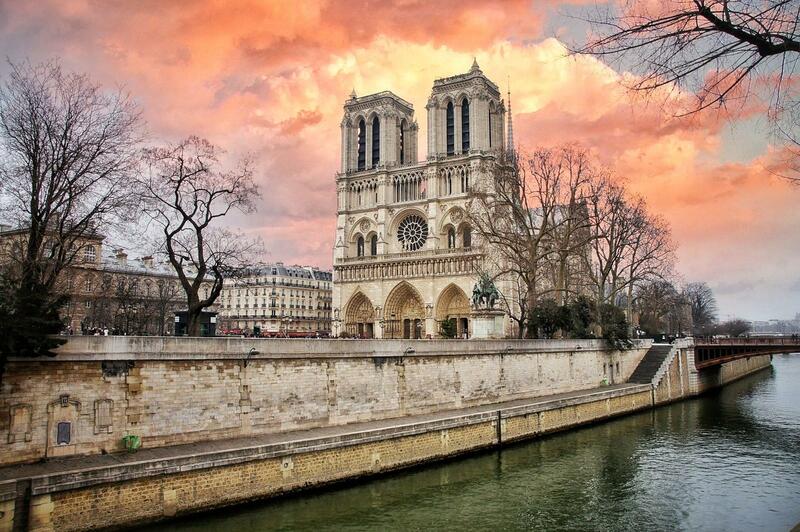 Cathedral of Notre Dame at sunset.. Notre-Dame, is a medieval Catholic cathedral on the Île de la Cité in the fourth arrondissement of Paris, France. Wow, that sunset looks like fire, almost as if it is burning.. did this building almost burn once? seems to jog a memory somewhere..
Great respect and solidarity for all of France.